BOWLING GREEN: A downtown street fair and the GOBA bicycle costume parade are planned for Saturday, June 15, as riders arrive. Grab a bite to eat in camp, or visit one of the many restaurants in this university community. Stock up on supplies and get ready to GOBA! 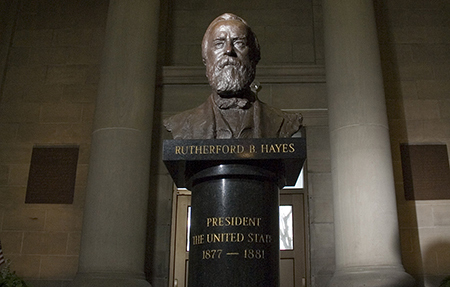 FREMONT: The city is home to the Rutherford B. Hayes Presidential Center, a jail-dungeon museum and a bustling downtown. The GOBA opening ceremony will be held on the campus of Terra State Community College, our home for Sunday night. Plans are in the works for the college to rent rooms in its new dormitories to riders. 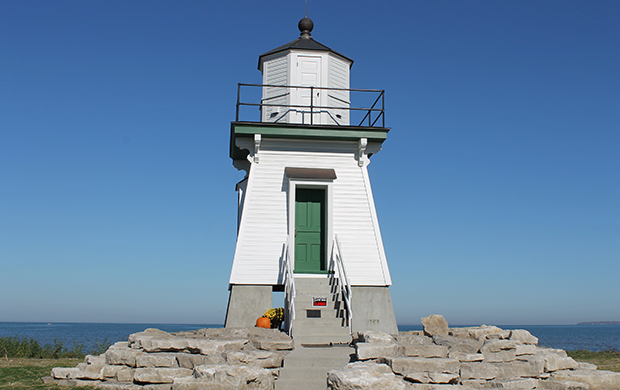 PORT CLINTON: We’ll have plenty of ways to stay busy and places to relax during our two layover days at this tourism hub on the Lake Erie coast. Our camp at Port Clinton High School is within walking distance of downtown and the local beach. The Jet Express ferry to Put-in-Bay leaves from downtown Port Clinton, while Kelleys Island — with its famous glacial grooves — can be reached with a short ride on a bike or shuttle bus to the ferry docks on Marblehead Peninsula. The sites on Marblehead include a Confederate cemetery, an historic lighthouse, wineries and two state parks. GOBA also plans to line up transportation to Cedar Point amusement park. OREGON: Our two-night stay at suburban Clay High School will put us just 6 miles from downtown Toledo and on the east side of the Maumee River, home of the National Museum of the Great Lakes and the original Tony Packo’s hot-dog restaurant. Oregon has a fine system of bike trails that connect the high school with the Pearson Metropark recreation complex (about a mile) and the beach at Maumee Bay State Park (about 5 miles). A national wildlife refuge lies along the lake just east of the state park. Again, watch for information as it becomes available! For information about alternative lodging in the host towns, click here.